Bjorkliden – possibly the most extreme golf course om earth. There are fewer tougher challeges in golf than the 9 holes of snow covered golf in Bjorkliden, Swedish Lapland. It is extreme golf. 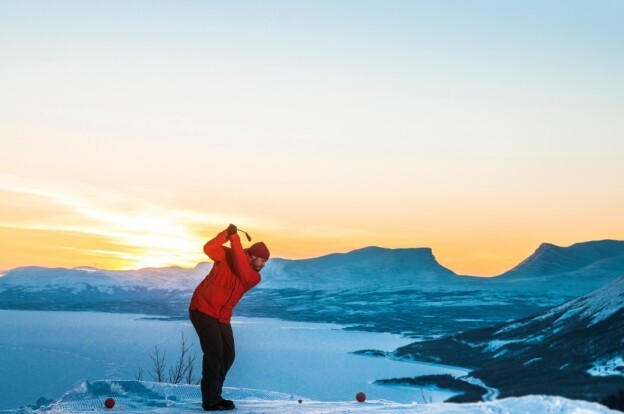 Situated 250 miles north of the Arctic Circle, Bjorkliden is not only one of the best destinations for the northern lights, but also delivers the chance for you to ski, go dog sledding and play a truly unique round of golf – all on the same day. The golf course, which is the most northerly in Sweden, is nestled amongst the arctic mountains providing some shelter from the sub-zero winter. 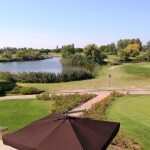 The course plays as a more familiar grass covered round during the summer months, but is then buried under metres of Arctic snow during the winter. 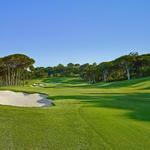 In 2012 the course was first prepared for the winter season using ski-slope preparation vehicles rather than the more commonly seen mowers to groom the fairways and greens. Specialist soft adventure travel company, Off the Map Travel work in partnership with Bjorkliden to organise tailor made trips to Northern Sweden with prices starting from £975 per person based on 2 sharing for 3 nights, not including flights. 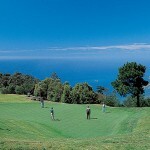 Golf in Italy. Emilia Romagna hits it down the middle.